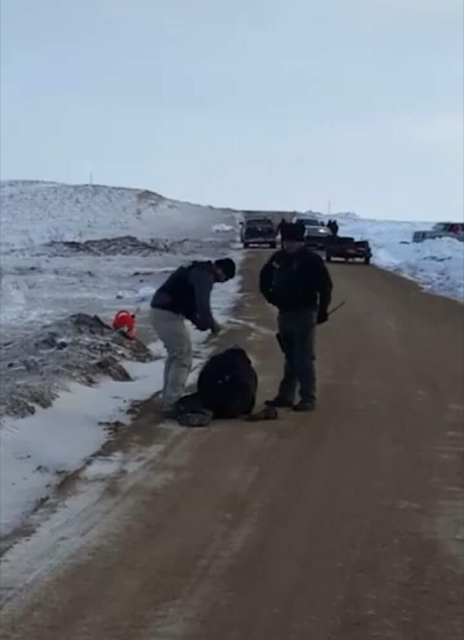 A BIA police officer beat an unarmed woman on a dirt road near Sacred Stone Camp on Feb. 4, as documented in video released from the scene. 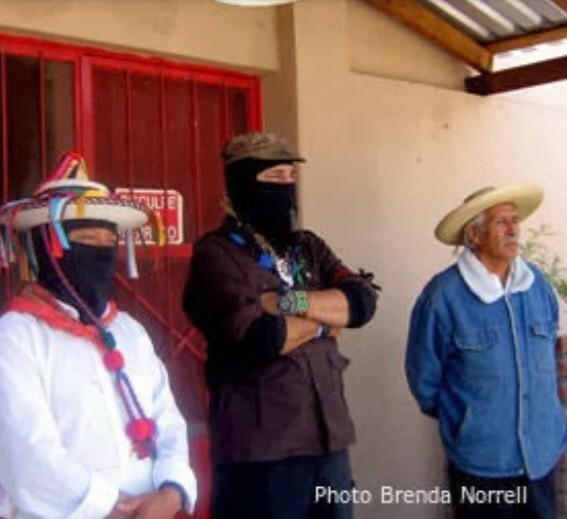 "How dare the BIA attack this water protector, who is peacefully walking away from him? The video is shaky, but you can clearly see him raising his baton and swinging full force at her legs and beating her until she falls to the ground while she screams in pain. SRST (Standing Rock Sioux Tribe), call off your goons!" said Sacred Stone Camp. Three people were reported arrested, as BIA police continue to target Sacred Stone Camp, the original camp of water protectors located on the private land of LaDonna Bravebull Allard. The video footage shows a BIA officer violently attacking an unarmed water protector with his baton. The woman can be heard screaming, "Stop brutalizing me," repeatedly. The Standing Rock Sioux Tribe has brought police into the camps of water protectors. i'm re-posting your reporting, and i want to thank you for your work and sacrifice. i hope that your posts go around the world. internet will save the world if we use it well. butthere wouldn't be that oppoprtunity without what you and the Water Protectors are doing on the ground.